The California State sponsored Lottery has a new campaign "Play Responsibly." This is obviously aimed at those poor souls who cannot control their urges to 'play'. We've all seen them: cashing their paychecks and buying a stack of chances on 'the big one'. The California Lottery has received criticism for not getting enough of the proceeds into the Public Schools system (the Lottery's 'goal') and for causing economic hardship on those that can afford it least. It's a tough choice -- food, clothes for the children or another shot at 'the big one'. So, we as California taxpayers, knowing that your chances of winning the lottery are essentially nil, want you to play our game, but not at the expense of your responsibilities -- because if you spend all your money on the Lottery you may come to us asking for welfare. Wonder if the Lottery folks don't have a budget to correct damages inflicted. So who gets to pay? Crazy? You bet. Another example comes from the tobacco industry. Phillip Morris recently admitted that yes, cigarettes are addictive and yes, cigarettes do cause death. Ok. A tobacco company finally admitted it. Then the Phillip Morris marketing/public relations company runs a TV ad depicting a small Midwest town that had just undergone a natural disaster. Phillip Morris sent in their trucks, not full of cigarettes, but food and other supplies for victims. Even the intellectually challenged can see the ploy -- 'what we sell kills, and we admit it -- but we aren't all bad so let's move on from here'. Will Philip Morris pay the health care bills for those in that town who die from Phillip Morris products? Crazy? You bet. And then there's alcohol. 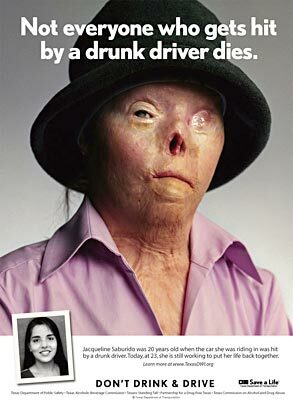 Alcohol kills. It is responsible for many traffic deaths and injuries every year. Families are broken, careers crushed, hopes and dreams dashed at the bottom of a drink. Yet we see the ads of young, beautiful, successful people drinking and having a fine time. At the bottom of the screen in small print we see notes like 'Drink in moderation' or 'friends don't let friends drive drunk' and so forth. So go ahead, drink our stuff and you too can be happy, beautiful, and successful. But just do it a little bit. Will the booze industry pay for health care for those maimed in accidents? For careers lost? Crazy? You bet! Crazy? No. It's institutionalized. It's the norm. We cannot restrict freedom, even for those that wish to knowingly inflict personal harm on themselves. After all, freedom of choice and expression is the foundation of a free society. Yet hypocrisy is not a strong enough word for those that market death and misery to those they secretly want to buy more and more under the guise of 'acting responsibly.' Don't market to me in ways that make me want to buy your products that will hurt me and then turn around and tell me to do it 'responsibly'. I could go on about this for hours but I gotta go run down to the liquor store and get my sixer, carton of cigs and stack of Lotto tickets. I will of course, be sure to remind the clerk that I am buying 'responsibly' and could he please pass this message on to his superiors. That way we will all somehow feel better in the morning. Simone Everett is the author of numerous articles on technology and organizational development.